The former commander of Royal Marine Alexander Blackman, whose battlefield murder conviction was quashed Wednesday, has claimed the jailed soldier’s unit fell apart due to command failures. Colonel Oliver Lee, the youngest marine colonel since WWII who resigned over the Blackman case, told the Guardian how command failures caused J Company, 42 Commando Royal Marines, to descend into chaos. Blackman, who killed an unarmed, wounded Afghan insurgent on camera in 2011, had his murder conviction reduced to manslaughter on the grounds of diminished responsibility at his second appeal hearing. He had originally been sentenced to 10 years imprisonment for the killing, during which he shot the prone insurgent in the chest. This was later reduced to eight years at an earlier appeal. Lee explained how some marines in the unit posted to Command Post (CP) Omar had dehumanized the enemy completely and how J Company had been left “psychologically defeated, bereft of ideas, unpredictable and dangerous” by a lack of oversight from commanders." “The leadership and oversight of Sgt. Blackman by his commanders Lt. Col. [Ewen] Murchison and Maj. [Aaron] Fisher was shockingly bad, and directly causal to Sgt. Blackman’s conduct,” Lee said. “His moral resources were depleted in a way that should not have occurred if his commanders had been looking after him better.”Lee’s original attempts to testify were rebuffed, he claims. 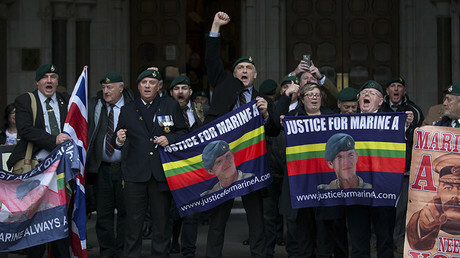 He also accused the Royal Marines’ chain of command of trying to stop the truth exposing their failures. “The motive must be to avoid bringing discredit upon the chain of command of the Royal Marines and for it to appear to the world that Sgt. Blackman acted in a vacuum,” he said. The soldiers were ordered to carry out careful counterinsurgency operations. However they gradually slid into chaos, resorted to high levels of violence, such as calling in mortar fire when minimum force was required. Lee claimed he had been made aware of marines kicking an Afghan farmer following the death of popular comrades. A reorganization saw Lee briefly command Blackman’s J Company a week before the killing. 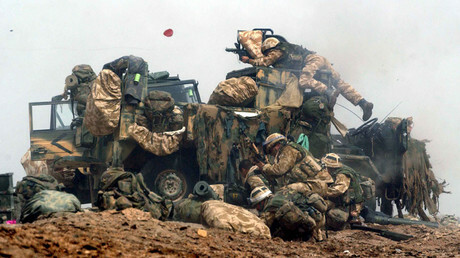 “Having been on operations many times in Bosnia, Northern Ireland, Iraq and Afghanistan I class myself as operationally experienced and yet I had never seen anything as poor as J Company,” Lee said. 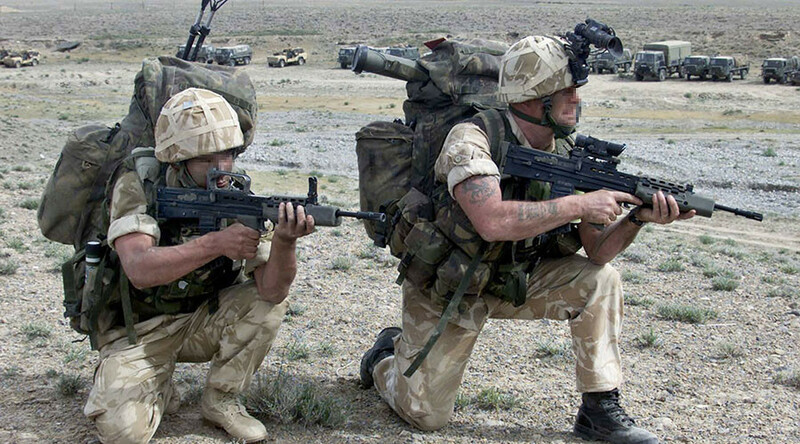 One officer insisted on using the sniper rifle of a dead marine, an act which Lee said “speaks of an officer having a gung-ho focus on personally delivered violence rather than leadership and sophistication. Another officer, whom Lee cited, had visited the CP [command post] and said discipline among the troops there had collapsed to such an extent that the front gate was inadequately guarded. Lee’s testimony has been contested and judges noted that he and Murchison appeared to clash in terms of approach. Responding to Lee’s claims the Ministry of Defence (MoD) told the Guardian that “The Royal Navy carried out a thorough internal review and we stand by the conduct of all commanders involved.